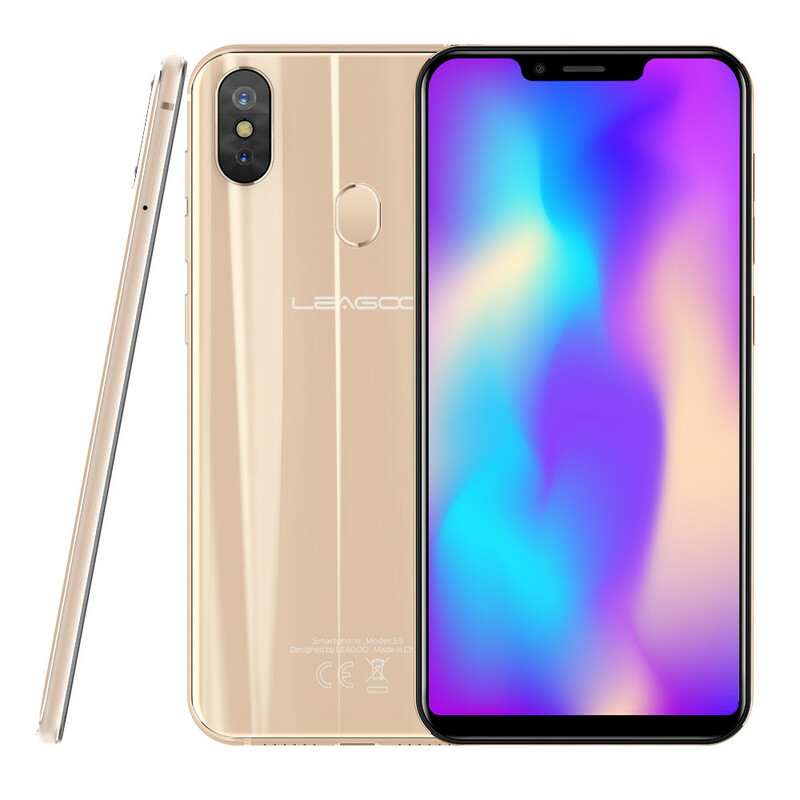 Successfully Added LEAGOO S9 Mobile Phone - 4GB RAM 32GB ROM, 5.85 Inch, Android 13MP Dual Rear Camera - Gold to your Shopping Cart. Runs on Android 8.1 OS, combine with MTK6750 Octa Core processor, deliver excellent performance. 5.85-Inch IPS capacitive screen with 1512*720 pixels brings incredible visual effect to your phone. 8.0MP front camera and 13.0MP + 2.0MP rear camera, allow you capture clear and vivid natural pictures. 4GB RAM + 32GB ROM, along with expandable memory up to 128GB, guarantee enough space to store your songs, videos, games etc. LEAGOO S9 features an amazing full-view screen. The screen-to-body ratio lengthens your vision range, bringing the most immersive experience ever into your eyes, offering a stunning and eye-catching attraction. The LEAGOO S9 packs a large 3300mAh battery. Teamed with the power-saving screen smarter processor, and excellent system optimization, the LEAGOO S9 provides you with unbelievably long-lasting battery life. Even under heavy use, it can last one day with ease, enabling you to enjoy your music, video and games to the fullest without recharging. With 8.0MP front camera and 13.0MP + 2.0MP rear camera, you can effortlessly record the details of view instantly capture the fleeting moments of fun to inspire your inner photographer. You can expect image quality and rendering power that every photo fanatic deserves from a phone.